We left the trail head at 1 a.m. and headed for the summit of the Grand Teton. I had made this climb several times, but my friend was still new to mountaineering. This trip was his first attempt at the popular peak. Our goal was to reach the top by sunrise so we had enough time to get back down before afternoon thunderstorms made the trail dangerous. Reaching the summit involves some hiking, followed by a more technical climb. When the time came to climb, we pulled out our harnesses, ropes and other safety gear. Being the more experienced climber, I headed up the mountain first. My job was to put in what climbers call protection. This protection would catch the rope in case of a fall. The harder the climb, the more protection climbers add. However, if the climbing is really easy, it’s not unusual to move long distances before adding more protection. Since I had been up this route so many times, I didn’t spend a lot of time adding protection. In my mind, I had placed the probability of falling at next to zero. Yes, we were up high and we were really exposed, but my experience suggested you would almost have to try to fall while climbing this route. I assured him that we were just fine. I’d been up here a number of times, and the chances that we would fall were minimal. That climb changed the way I view risk forever. For most of my life, I looked at risk simply as the probability that a catastrophic event would occur. Whether it was climbing, buying a house or starting a business, I carefully analyzed what I believed the chance of failure to be and then moved ahead based on that one factor. My friend taught me that identifying the probability of something happening is simply the first step. We also need to consider the consequence of what will happen if that risk becomes reality. 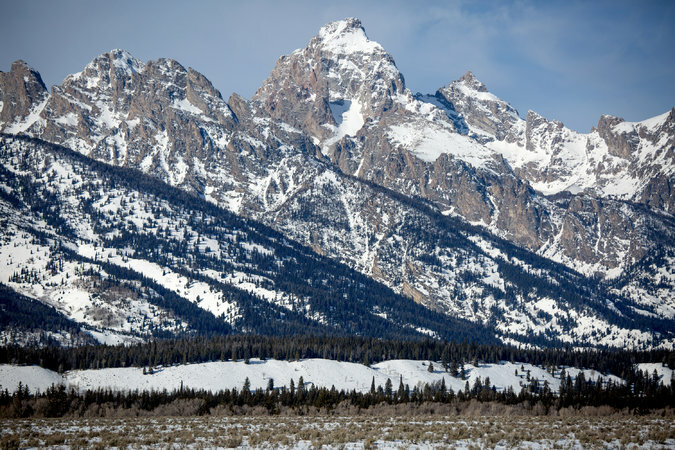 For instance, the chances that we would fall off the Grand Teton were minimal, but if we did fall, we’d die. That’s a different consideration than if we were to fall and the consequence was skinning a knee. The same rules apply to our finances. Let’s assume there’s a low risk, maybe 20 percent, that the business I plan to invest in will fail. That seems like a reasonable risk. But if I’m investing my life savings in that business and there is any chance it will fail, that’s a huge thing to consider. We’re talking about a complete change to my life if that 20 percent becomes reality. The conversation is very different if there is a 20 percent risk the business will fail, but I invest only a small portion of my savings. The business’s failure will still hurt, but not in the same way as if I had invested everything. I see something similar when people talk about making a major purchase, like buying a car. The discussion tends to focus on the best-case situation. Certain assumptions are made, such as, “My income will grow at 5 percent every year, so I can afford the bigger payment on the more expensive car.” After all, you assure yourself, the probability that something major will happen to your job is minimal. 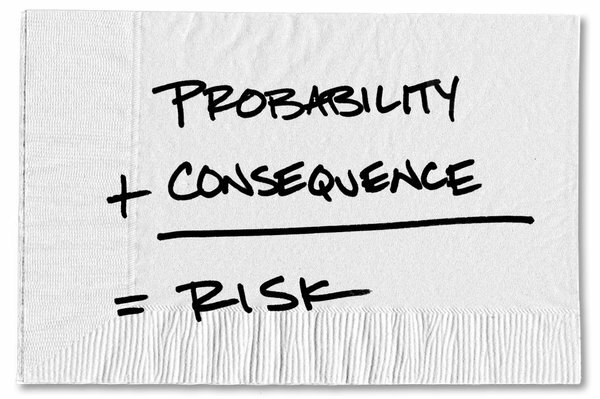 But look past the low probability to the real consequence. What if your income doesn’t go up or you lose your job? Could you lose the car, too? Do you have enough savings to tide you over, or people who would help you out? Until we put the risk in context, we have a difficult time weighing whether we can actually afford to fail. For me, a simple conversation on the side of a mountain changed my perspective and represented a big turning point in my life. Now, I try really hard with every decision I make to consider both the probability and the consequence of failure. What will it take for you to start looking past the risk and weighing the consequences? A version of this article appears in print on March 26, 2015, on page F4 of the New York edition with the headline: Finding Surer Footing. Posted on March 26, 2015, in Postings. Bookmark the permalink. Leave a comment.